Nothing warms up the belly like a nice bowl of chili. However, we try to stay away from too much ground beef in our home. 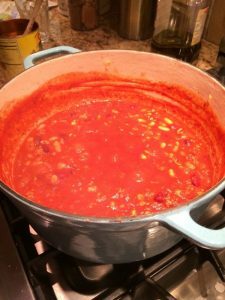 That does not mean you need to stop making chili, substitute ground turkey for the meat in this super easy turkey chili recipe. You probably have everything in your pantry right now anyway. I did not have any bell peppers when I made this recipe and only had one can of kidney beans so I made some substitutions. I used a can of white beans instead. Outside of the color, there was not really flavor change. 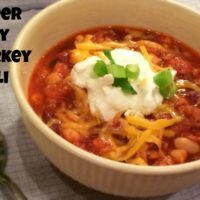 Make a lighter meal at your super bowl party, by swapping your heavy chili recipe for this light and easy turkey chili recipe, if you don’t tell anyone they may not even notice. This was a great starting point for a chili recipe. Feel free to substitute different veggies or beans. I might even try to brown the turkey and onions and then add it to my crock pot next time. 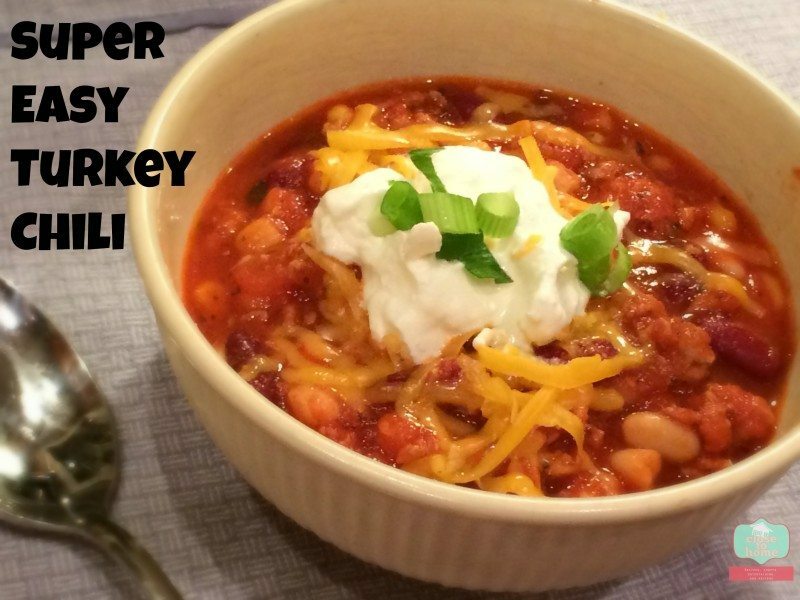 cut calories on your favorite cold day recipe, make this super easy turkey chili recipe. Add remaining ingredients and stir well to combine. Reduce heat to low and simmer for 1 hour, stirring occasionally. Optional: Top with low fat sour cream, cheese, green onions etc. You can make this in the crock pot after you brown the turkey. 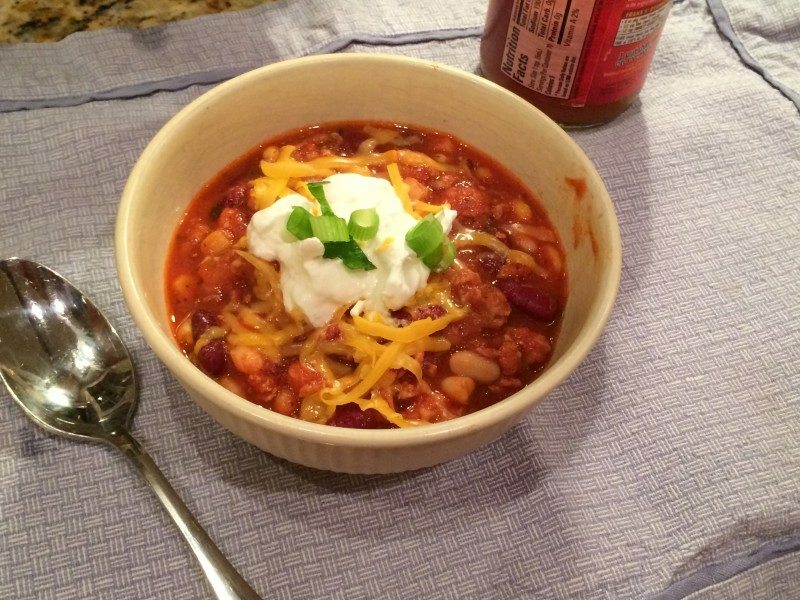 chili is one of those recipes you can change up a few ingredients and offer a whole different dish to your family. This looks awesome. It’s a bit chilly now and I’d love some soup! That looks yummy. I am always looking for something different to cook. i get so bored with the same old things.